Join us for the 3rd Annual Scavenger Hunt at Bruce Ladd Memorial Dog Park on Saturday, June 8th! Registration begins at 5:00 PM with the banquet following. Please consider supporting SUFA by forming a team or being a “Clue Sponsor”. 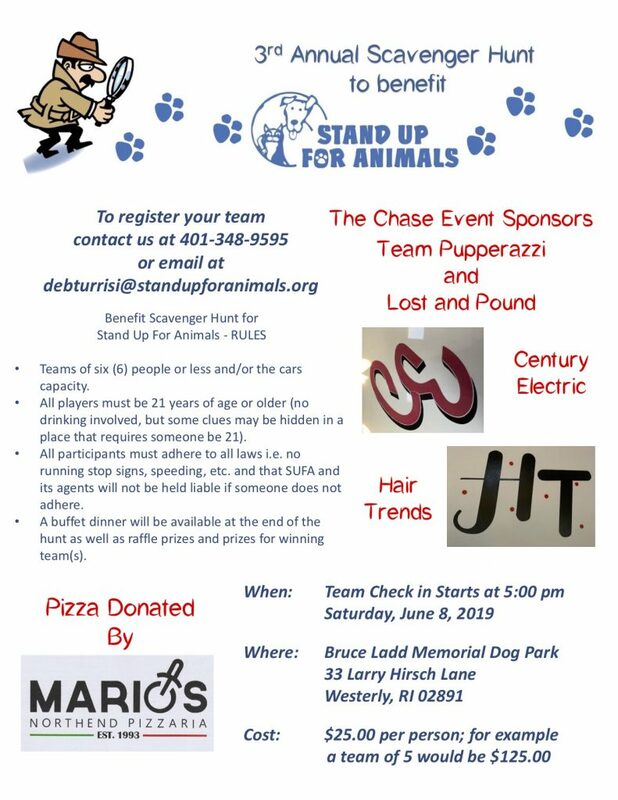 More information to follow and in the meantime contact Deb Turrisi at debturrisi@standupforanimals.org with questions and/or to be put on our mailing list.